May not change much . This time of year many Disco's run quite happily with the fan removed altogether during the cold weather as they can lead to overcooling. I had issues with mine once the head had been replaced... but not for long. It was just a case of filling up from the thermostat housing rather than only at the header tank, this solved the "no heat" issue and therefore I assume removed any airlock too. 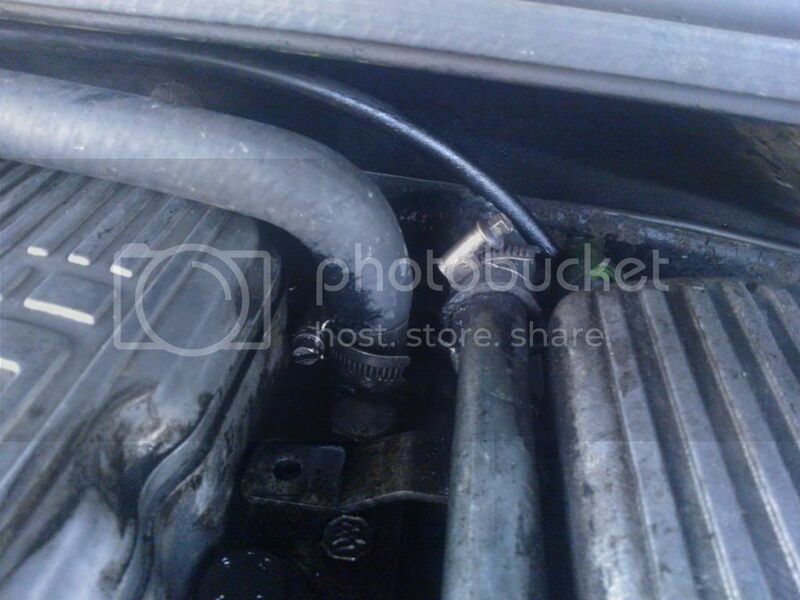 If the heater is cold with engine warmed up then there is no coolant circulating through it . Usually its because of an air lock ( unless the heater matrix is blocked up internally ). If heater had been OK prior to this then you have an airlock - and when the air heats up it expands and pushes out coolant . Coolant being forced out is also a symptom of a blown head gasket ( combustion gases are escaping form cylinder(s) into coolant system and forcing coolant out ). This is why coolant being forced out can cause confusion - and is often put down to a blown head gasket . Another thing to be aware of is if the temp gauge goes down - stop and check . If the coolant level has dropped and there is no coolant around the gauge sensor for it to 'sense' then the gauge will go down. Seeing a gauge go down you may think 'It's OK , Its not overheating '- but there is still a problem . And if you continue on you could end up with a seized engine . Get heater working ( that is putting out warm air ) using the various methods in the posts. Heater worked before radiator was replaced. But also there was no thermostat in the engine either. And unfortunately the radiator was replaced while it wasn't being driven. The temp gauge has been going down and then all of a sudden starts going up quite fast. The water is then forced out of the expansion tank. I have stopped before the needle gets to the red. But am worried now in case I have done damage. 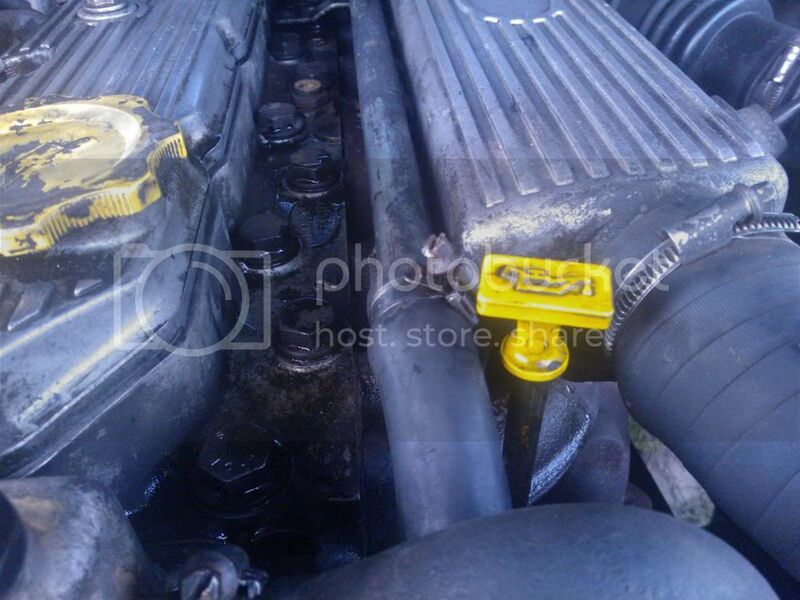 Sounds like the head gasket has gone forcing cylinder pressure into the coolant system. Thermostat removed to try and hide it ? It is confirmed today that the head gasket has gone! 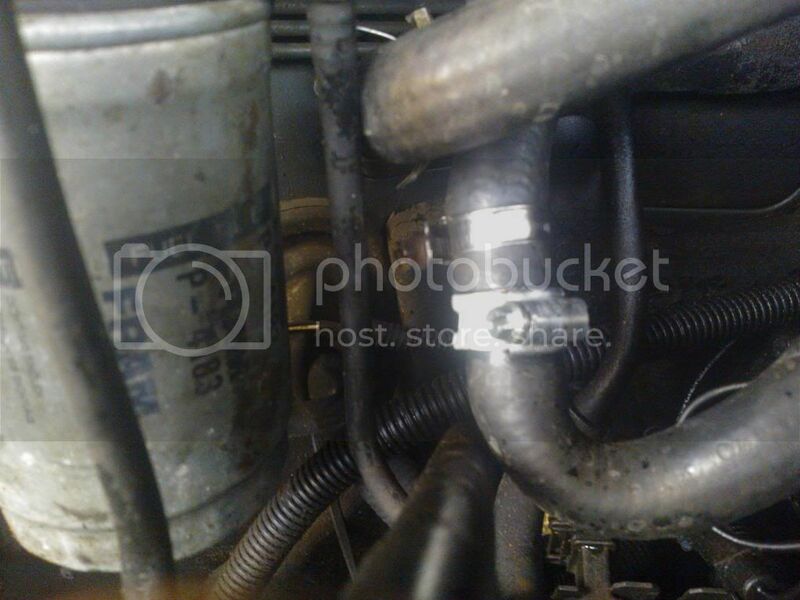 Exhaust gases are getting into the coolant, but no oil or water mixing. Wasn't there a head gasket change done recently by the previous owner according to the paper work he gave you? Did they have the head skimmed? Or has this happened due to overheating from the knackered radiator that you have replaced? I have a receipt for the parts for a head gasket from the previous owner and a receipt for the head being skimmed, but no receipt for the actual work done. I got the car with no thermostat in it. But didn't know that until I replaced the radiator. The previous owner Kevin Axell said he had never let it run dry, and I never let it run dry but it did lose water gradually. I believe that the head gasket was already blown when it was bought. 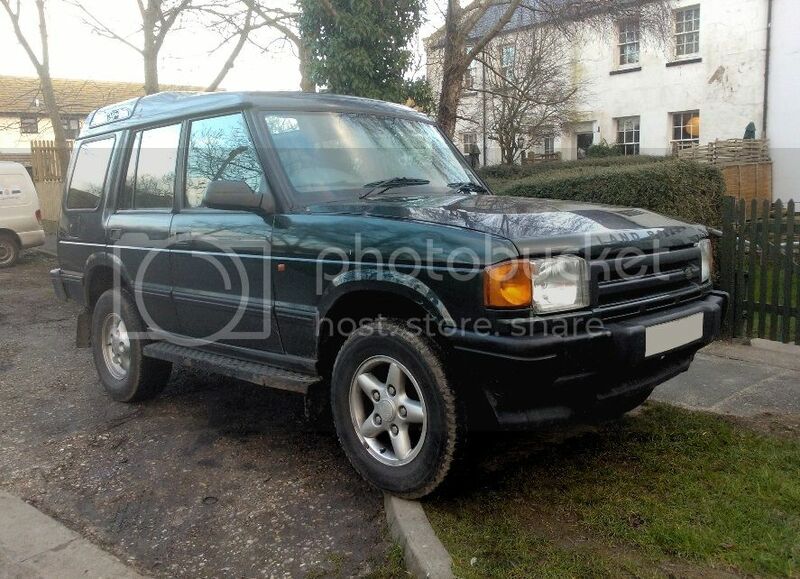 Purely for the fact that it had heating but if the heating was left on it would go cold, I mentioned this before on another post but everyone just said it's a Land Rover thing because of a viscous fan, and after the new thermostat was put in, it started over heating straight away and giving out no heating. I do believe there may have been or is possibly an air lock, but the head gasket has definitely blown. I am waiting for a call from my other half to work out what to do as I have found a garage that a couple people have mentioned. GJB Auto's in New Romney who are part of the Good Garage Scheme and the Retail Motor Industry Federation, who will supply me with a courtesy car for as long as I need it and guarantee the work and parts. £635.72 is what they quoted. But I can't afford to get any more work done in the garage. 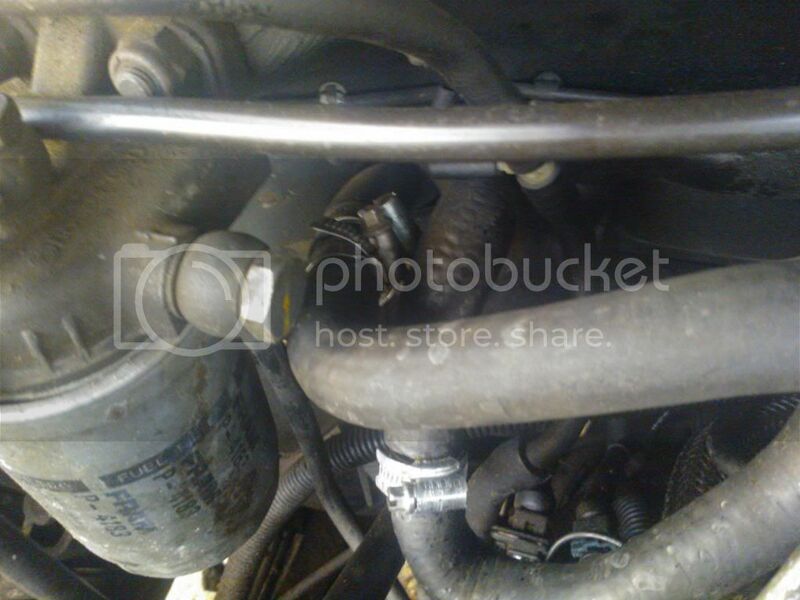 But this will also solve the rocker gasket leak too. But that price doesn't include a replacement head if this one is cracked. But that does include getting the head pressure tested and skimmed. £635.72 is what they quoted. 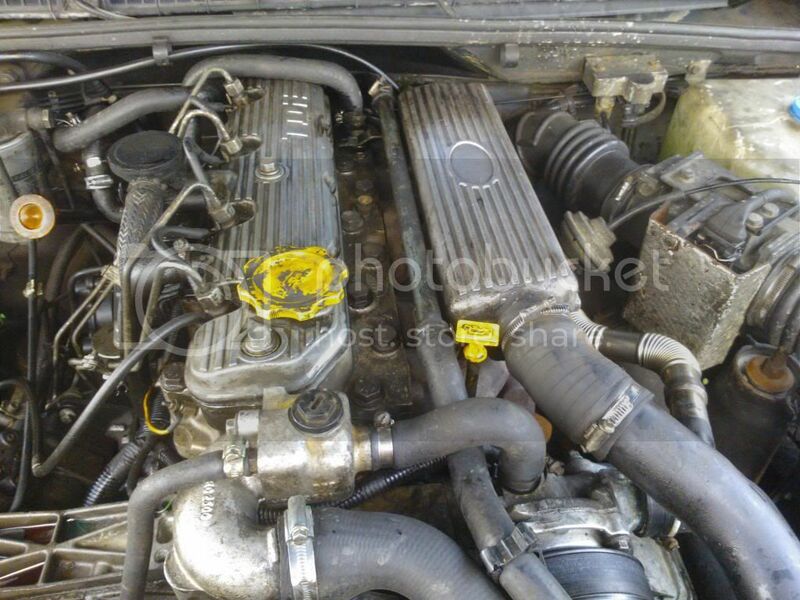 You could pick up a whole 300tdi engine for less than that! If you got a decent one from someone on here, then problem solved! 300 tdi's do run cold, putting the thermostat in should make the heating work better not worse. The water going to the heater is not shut off by the thermostat closing it circulates the whole time. Your heating would have stopped working due to an air lock in the heater matrix. I would still have to then find the money to pay someone to fit it. And have no guarantee's on the engine work. I think i would be tempted to hold off of doing anything on this motor until a few knowlegeable members have had a chance to go over it with you. I know you need the car, but this is going to be another bottomless pit if you keep going from unknown garage to unknown garage. I have to laugh right now, or I am just going to cry. I feel like I have done a complete circle and this time with me picking what car I wanted and my parents picking the actual one I am to own I feel like I have still ended up in the same position I was in at the beginning when I first bought the black Freelander However I know that the Discovery's aren't like the Freelander where you repair it to have to have the same job redone soon down the line. Sort out your air lock first! Then decide if you have other problems, the air lock is simple enough to sort if you follow the tips people have been giving you. He said earlier that a garage had sniff tested the coolant recently too. I'd be inclined to make sure there isnt an airlock before doing any work (thats free - all you need to do is crack off the heater hose) and then see what happens. Apologies as I had missed that, what was the result? The result was exhaust gases are getting into the coolant. Post 32 this thread. However, i still agree with you in post 41! My head is spinning with information. Right I am going to go out and take photos in the engine bay. and of the coolant etc... I will be back in upto 40 minutes. God knows how I missed that seeing as I posted the next comment! Appologies again CJ1. But as you say, sort out cheap/free issue first so at least you know you aren't going to boil it again when your head gasket is done. Obviously that will all have to be done again if/when the head gasket is done but you will know there is nothing else wrong with your cooling system. 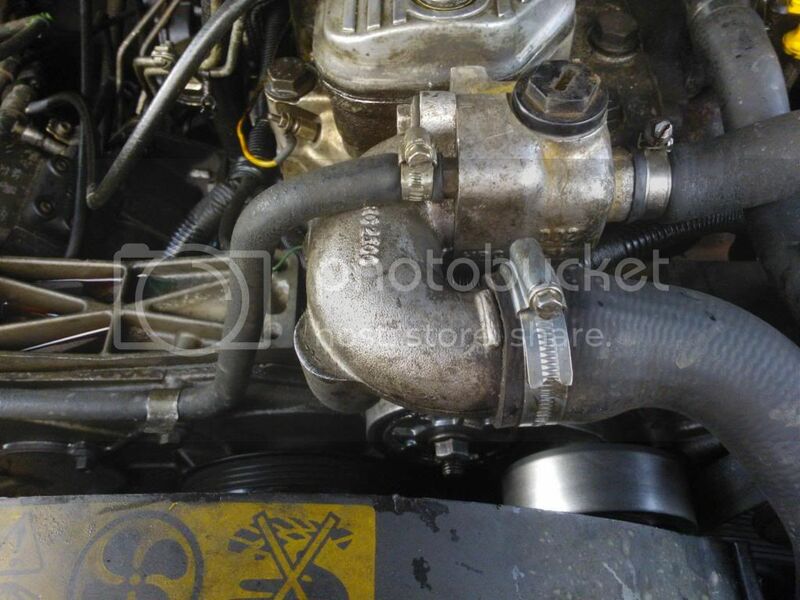 turned out to be a cracked head, it was putting exhaust gasses into the cooling system and, more to the point, straight into the heater matrix pipe connected to the top of the head, thus pushing coolant through and replaced with gasses. Here are the delayed photo's. I took the above pipe off and the coolant did burp. Water came from the pipe and the inside of the metal pipe looked dry to me. As you can see above, I raised the front as much as I could before I tried bleeding the system on my own. I took the car for a 4.4 mile round trip (Stopping for 20 minutes half way as I was waiting for my other half to get back on the train), but the car didn't over heat once, but I drove it very very gently and didn't go above 30mph. 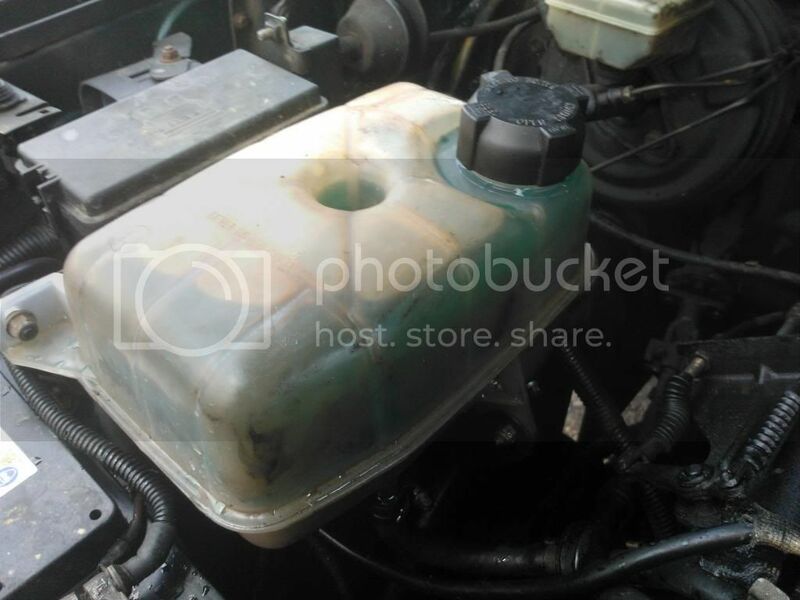 Shouldnt that expansion tank only be half full?